Coming into a family's home just days after the birth of a baby is quite an honor. And I take this privilege very seriously. This is a private time when two parents are still getting acquainted with their amazing, yet tiny, bundle of joy. These early, sweet days pass by way too quickly and capturing the wonder of a newborn usually happens within the first 10 days of life. 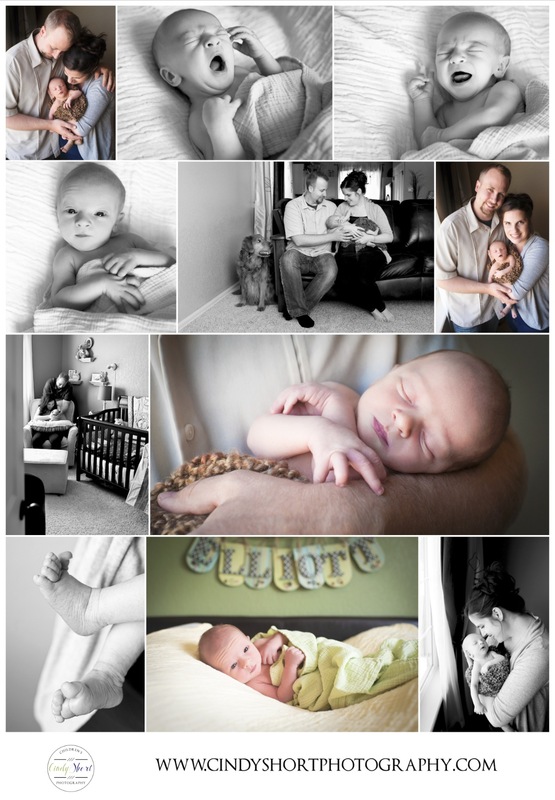 To photograph this event while making it simple for Mom and Dad, my newborn sessions always take place in the home. Incorporating a laid back, lifestyle photography approach lets me tell the story of this new life while allowing ample time for feedings, diaper changes and making sure Mom has a drink and a snack. Interested in creating special photographs of your child? I am now booking for Fall 2014! Contact Cindy at 970-682-4206 or cindy@cindyshortphotography.com for more information on Children's Portrait Sessions.